January 31, 1931: “The Gumm Sisters” (Judy and her sisters) were part of “The Meglin Kiddies” stage show that played between showings of the featured film, Part Time Wife. This matinee performance was the sisters’ last appearance with Meglin organization. later that afternoon they appeared on KFVD Radio broadcast out of the Hal Roach Studio in Hollywood, California. It’s unknown what the sisters sang. January 31, 1937: By this point, Judy was not a member of the Meglin Kiddies group anymore but of course Ethel Meglin made sure to point out in her ads that she had helped train some of the brightest young talents in Hollywood. January 31, 1942: Judy and husband David Rose were at Camp Wolters, in Mineral Wells, Texas for the last day/night of their USO tour of Army camps. On this night, Judy was the guest of honor at a ball which celebrated President Roosevelt’s birthday. 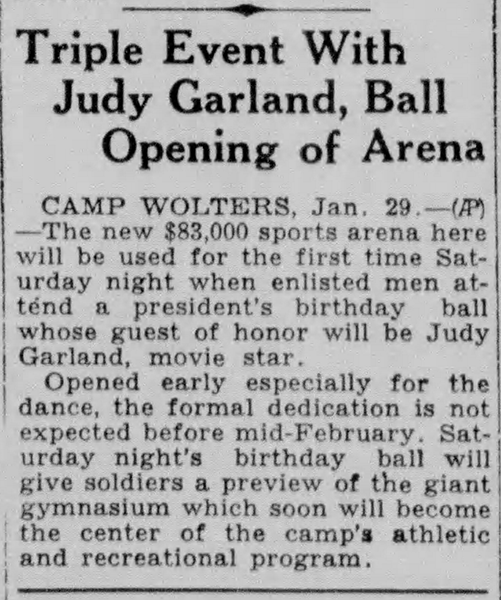 This was the first event at the camp’s new $83,000 sports arena which was opened early for this event (the formal dedication of the arena did not take place until that February). January 31, 1943: For Me And My Gal was still doing great business around the country. 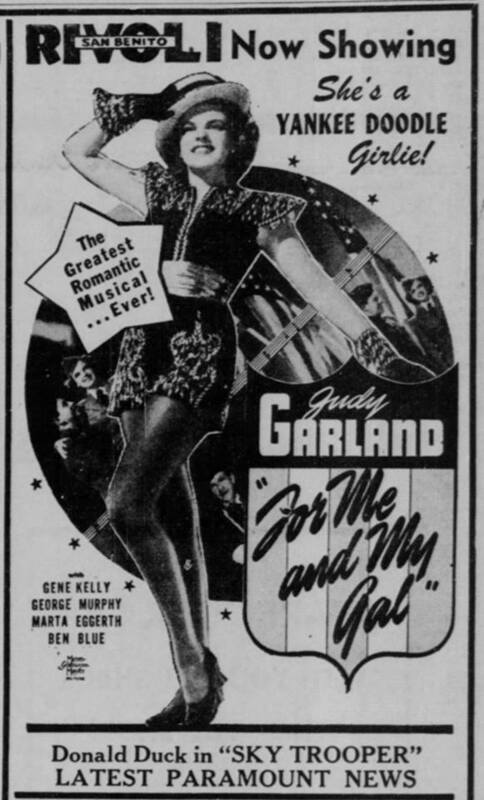 Meanwhile, at MGM, Judy was on bed rest after being overworked by Busby Berkeley while filming the “I Got Rhythm” finale for Girl Crazy. 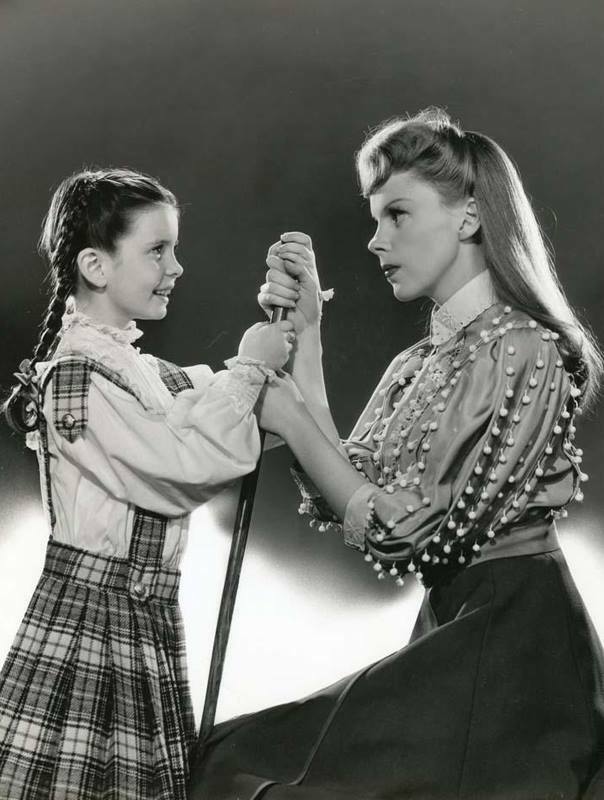 January 31, 1944 – through February 12, 1944: The Meet Me In St. Louis production was on hold due to the absence of co-star Margaret O’Brien. Judy still worked a couple of those days. At 5:30 p.m. on Saturday 29 January, acting under Al Jennings’ instructions, called the O’Brien home and gave Margaret O’Brien’s call for Monday, 31 January. 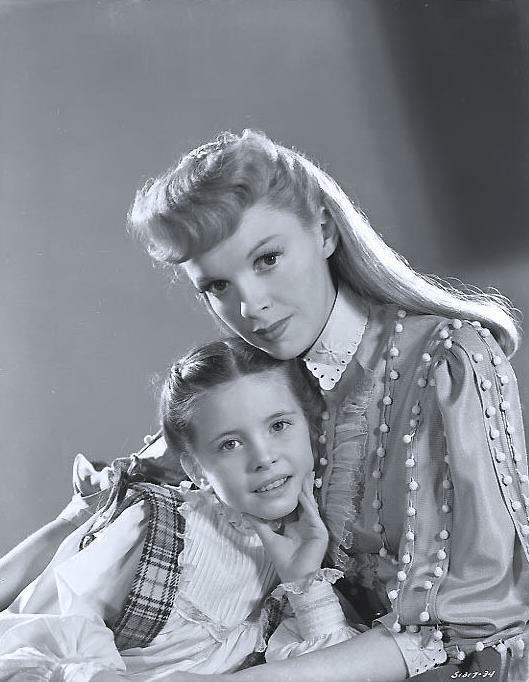 The conversation which was carried on with Miss Marissa O’Brien (Margaret’s aunt) included description of scenes and scene numbers both for the St. Louis Street exterior set and the interior of the children’s bedroom, cover set. At this time the call was accepted by Miss O’Brien for Monday’s work and there was no mention made of Margaret being ill.
At 4:30 p.m. on Sunday 30 January, Al Jennings called me at home to advise me that Marissa O’Brien had in turn called him at 4:05 p.m. to advise him that Margaret had been suffering with a combination illness of hay fever and influenza, and was also having nervous spells. He further told me that Marissa said at this time that the doctor in charge had advised that they take Margaret away for two weeks to recuperate from her illness, that Margaret would not be able to appear for work on Monday, 31 January, and that they were going to follow the physician’s advice regarding the two weeks’ rest. I got in touch with Mr. Datig and asked him the check this information, and at 5:45 p.m. (Sunday) he advised me that he had called the O’Brien home and had been told by a woman who answered the phone that the O’Brien’s [sic] had called her to tell her that they were at the railroad station and were leaving immediately for Arizona, and that they would advise her by wire to send necessary clothes, etc. I in turn transmitted this information to Mr Butcher and Mr Freed. Due to the inclemency of the weather on Sunday and inasmuch as it had been raining, and Margaret O’Brien’s departure had left us without a cover set, it was decided to cancel Monday’s call for the exterior, which in turn left us without any work at all that we could do. On Sunday night it rained again and more rain fell Monday morning, which in itself justified the cancellation of the exterior set. 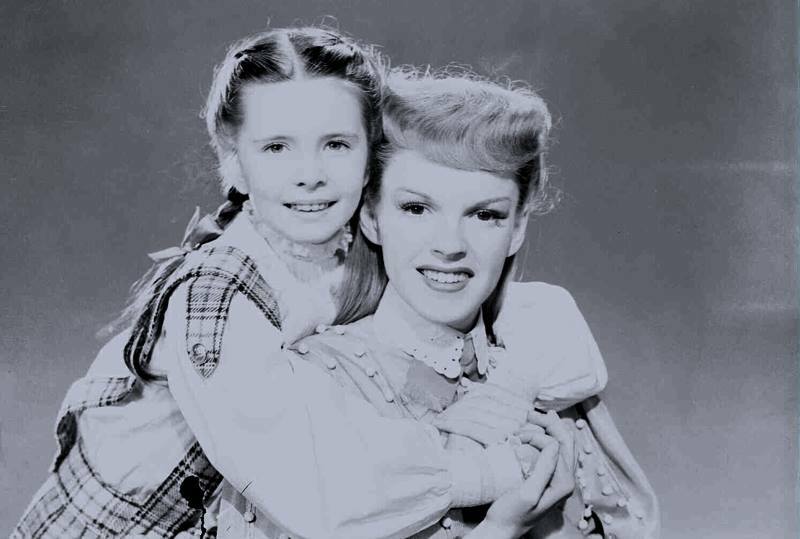 Margaret O’Brien last work with the Company on the morning of Friday, 21 January, between the hours of 9 a.m. and 11:30 a.m., at which time her work for the day was concluded and she was dismissed. On this morning she had a slight hoarseness, which Mrs O’Brien attributed to hay-fever allergy to dirt. The above was given a cover set call for 10a.m. today. At approximately 4p.m. yesterday (Sunday) Marissa O’Brien, aunt of Margaret, called Al Jennings at his home and advised they were leaving today for Arizona as per doctor’s orders due to the fact that Margaret had had a very bad cold and sinus condition, as well as other complications. Al Jennings contacted Dave Friedman who, in turn, contacted me. At approximately 5:45p.m. when I called their home I was told by the party who answered the phone that they had already left for Arizona. Also that Marissa had called the house from the depot some time before advising the party at the house that they would wire in today telling them where to send some clothes for Margaret. Up to 3p.m. today no wire had been received and, since I am unable to find out who Margaret’s doctor is, I can give you no further information at this time but will keep you posted. Mr Sidney will advise whether or not she is to be paid salary during period of absence. I want you to know how very sorry I am that I had to take Margaret out of your picture for the time being. She was in bed for a week with a very bad case of hay fever, which the doctor said came from nerves due to overwork, so I am taking her away from everything connected with work for a couple of weeks as I know a change of scenery will de her good. She has been working almost steadily for the past year and a half going from one picture right into another, ‘Journey for Margaret’,’You John Jones’,’Dr Gillespe’ [sic], ‘Jane Eyre’, ‘Lost Angel’, ‘Madam Curie’, ‘Thousands Cheer’, ‘Canterville Ghost’, and now ‘Meet Me in St. Louis’. 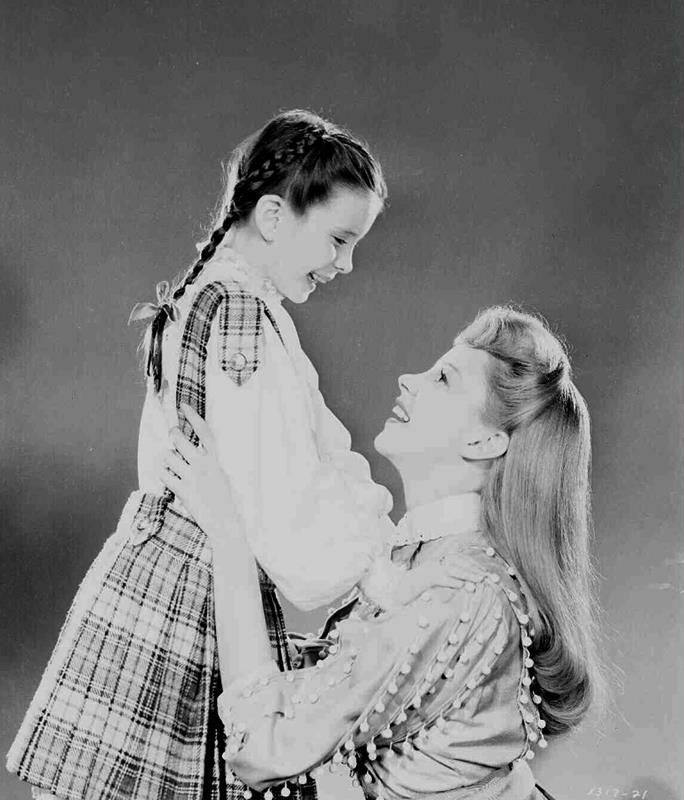 Even the days she didn’t work we still had to make a trip to the studio for publicity interviews, lessons, wardrobe fittings etc, and I was beginning to be greatly criticized for allowing my child to work so hard. we couldn’t even take a weekend off because we were always on call, so now we are forced to take a couple of weeks off. January 31, 1945: Here is a rather odd story about “The Trolley Song.” In San Francisco, California, where cable cars are often mistakenly called “trolley” cars, a “trolley conductor” (it’s unusual that the San Francisco Examiner would use the word “trolley” since San Franciscans consider it blasphemy to use that term for cable cars), was free on bail pending several charges of bigamy. 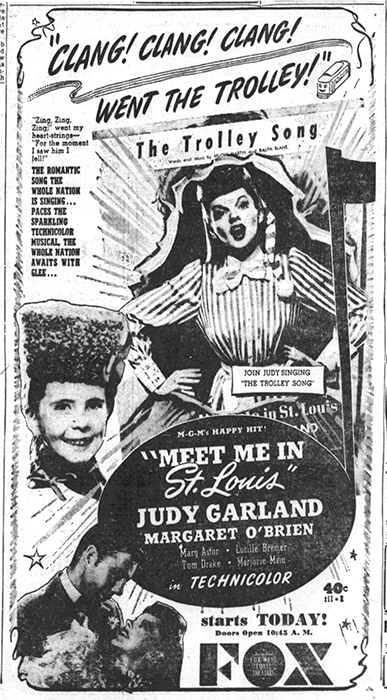 He was going to go to a movie, which happened to be Meet Me In St. Louis currently showing at the Fox Theater. He decided to pass, saying, “But when I got out on the street strangers began to stop me … I couldn’t take it. I came back here to my room.” Even at his hotel, he was accosted (apparently people wanted to offer him money to capitalize on his notoriety and sell their product/services) so he went to a bar. Once at the bar, a beer truck driver drifted in and saw him, went to the jukebox, and chose “The Trolley Song” playing it at full volume. Apparently, the song had been used as a kind of theme song for him when the case became public – and he couldn’t escape it! The Fox Theater in San Francisco was a huge and ornate movie palace of the 1920s and the victim of low movie attendance in the 1950s. It was demolished in 1963. Learn more about the theater here. January 31, 1946: This single-page ad appeared in the “Film Daily” trade paper. 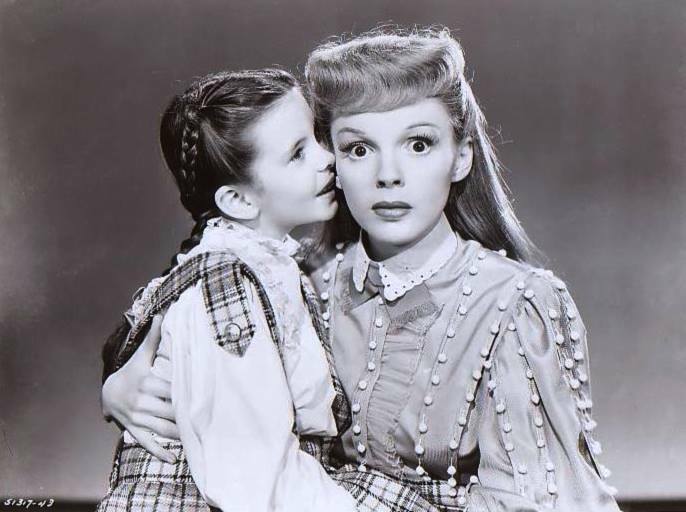 January 31, 1947: Judy was out sick from a scheduled wardrobe fitting session for The Pirate. Photo above: Judy on the set in costume for the “Mack The Black” number. January 31, 1948: Easter Parade filming consisted of scenes on the “Interior and Exterior Drug Store” and “Interior Don’s Apartment” sets, including filming the title number. 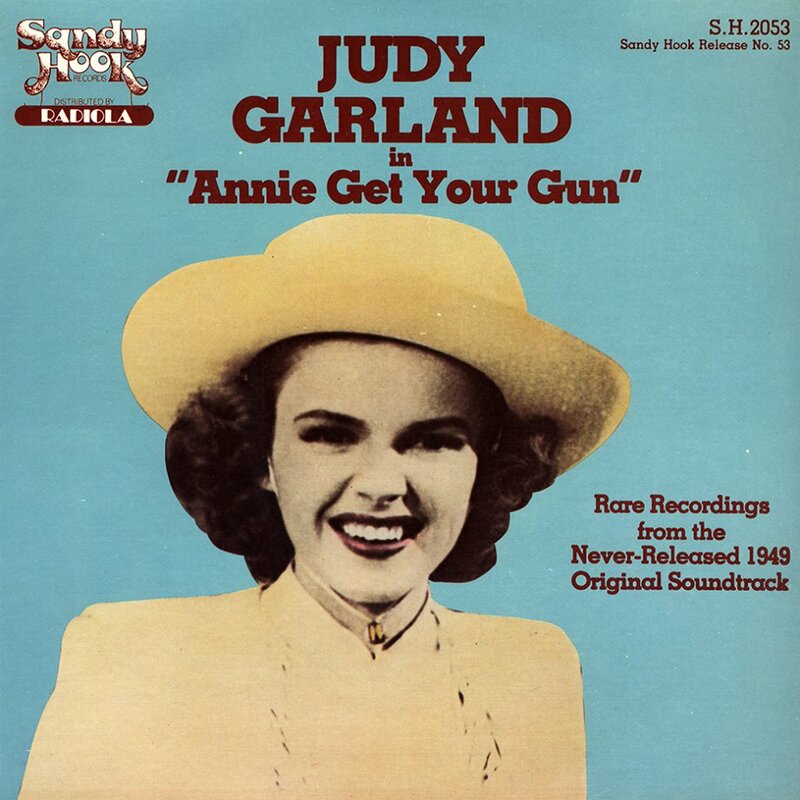 Judy was in makeup at 7:00 a.m.; she arrived on the set at 9:10 a.m.; dismissed: 2 p.m.
January 31, 1952: Apparently, the pre-recordings Judy made for Annie Get Your Gun in 1949 were already making the rounds on the “black market” in 1952 (and probably earlier). They were well known enough for Dorothy Kilgallen to mention them in her column. There was no explanation for its inclusion and no note that it was an outtake. 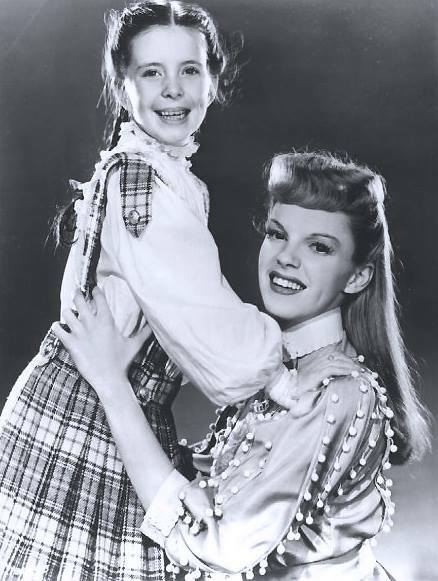 It was simply listed as being from the film, which might have confused those who were not familiar with Judy’s filmography. 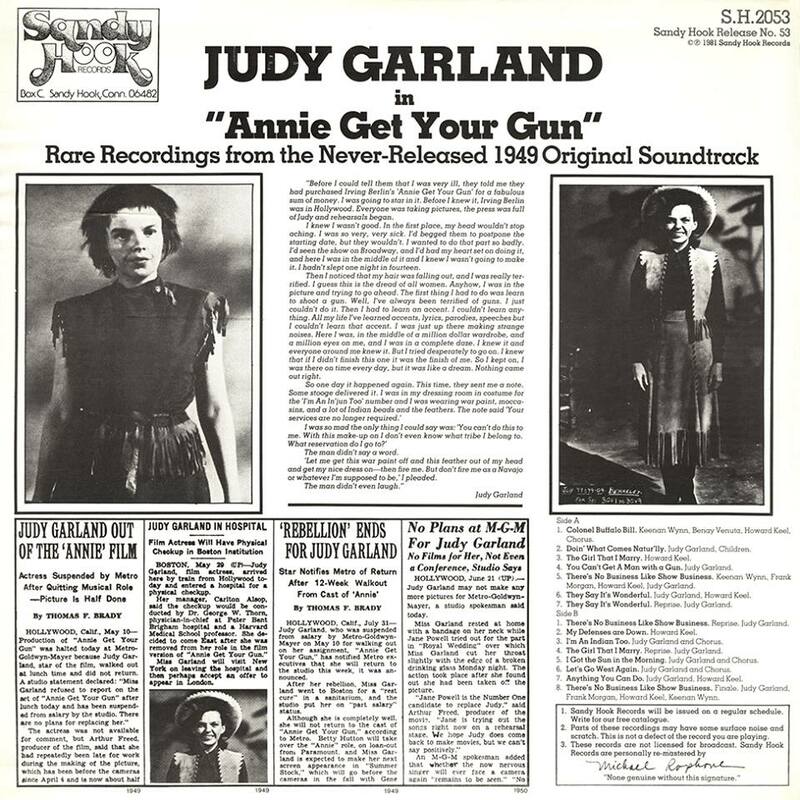 That was the only official release of any of Judy’s outtakes from the film for a few decades. In the interim, bootleg LPs began to appear in the 1960s, all with horrible to unlistenable sound quality. They were obvious copies of other copies of some of the playback discs. 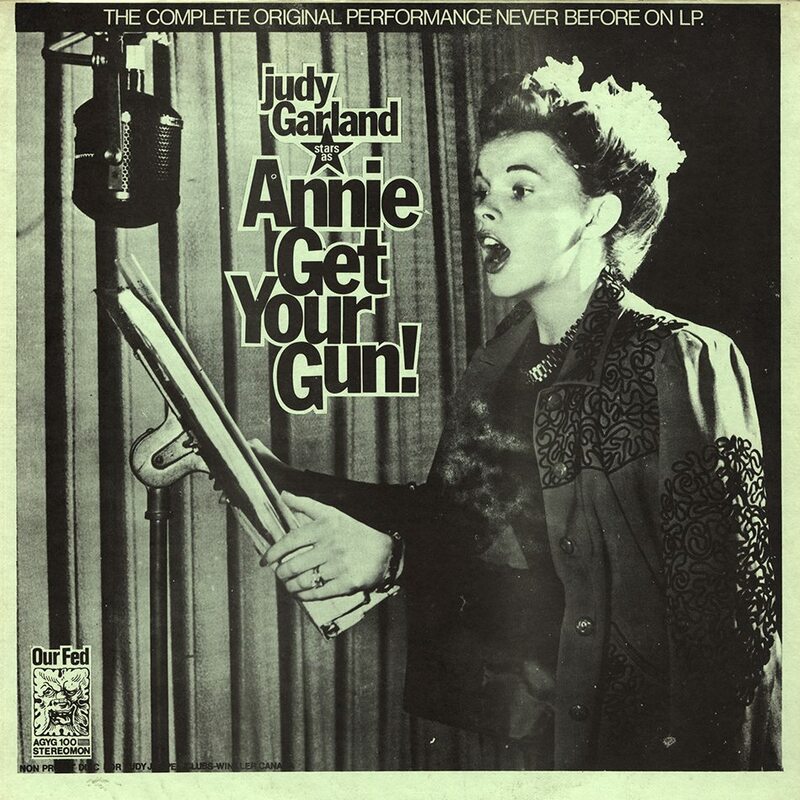 Check out The Judy Garland Online Discography’s Annie Get Your Gun pages here. 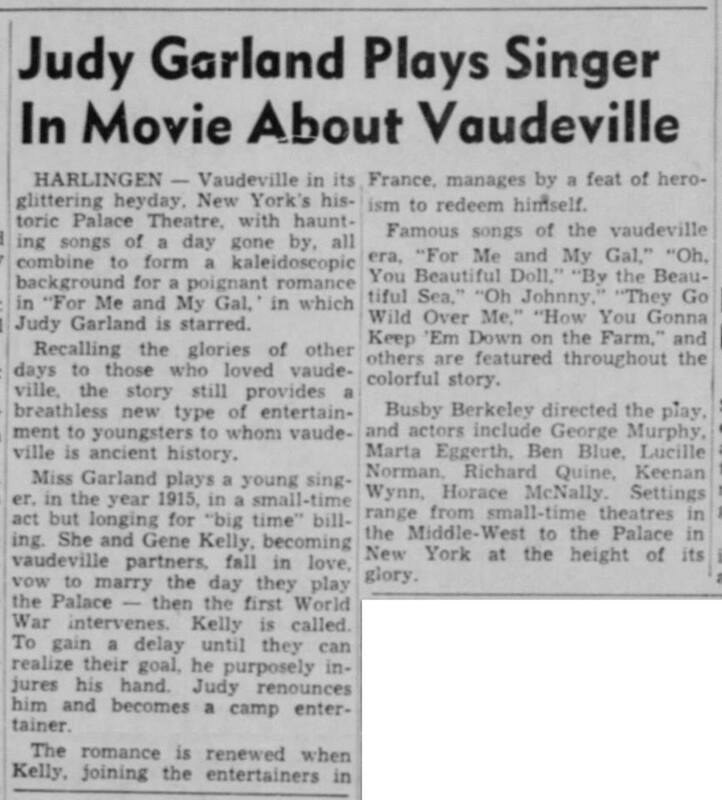 January 31, 1952: Judy was in the final weeks of her record-breaking run at The Palace Theater in New York City. 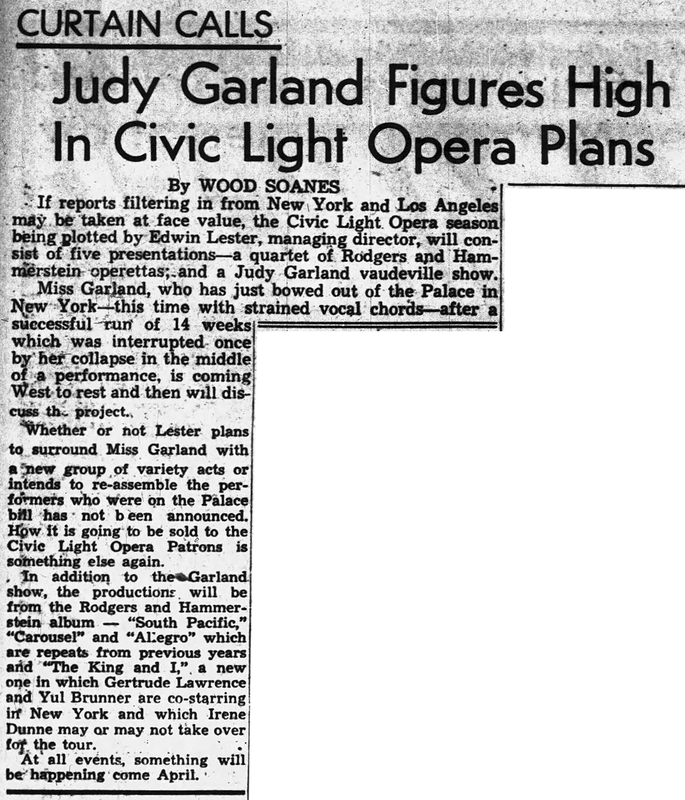 This article reports on the possibility of Judy appearing at the Civic Light Opera House in San Francisco, California as part of a tour of the west coast. 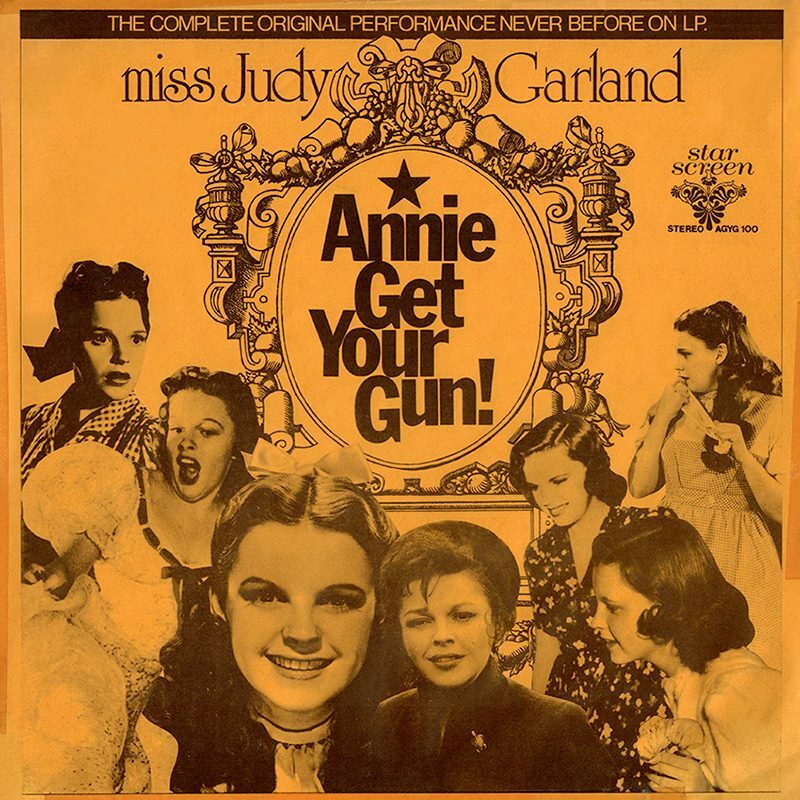 Judy took her show to the venue for a four-week engagement that began on May 26, 1952, which was after a triumphant return to Los Angeles, California, and the Los Angeles Philarmonic that began on April 21, 1952. 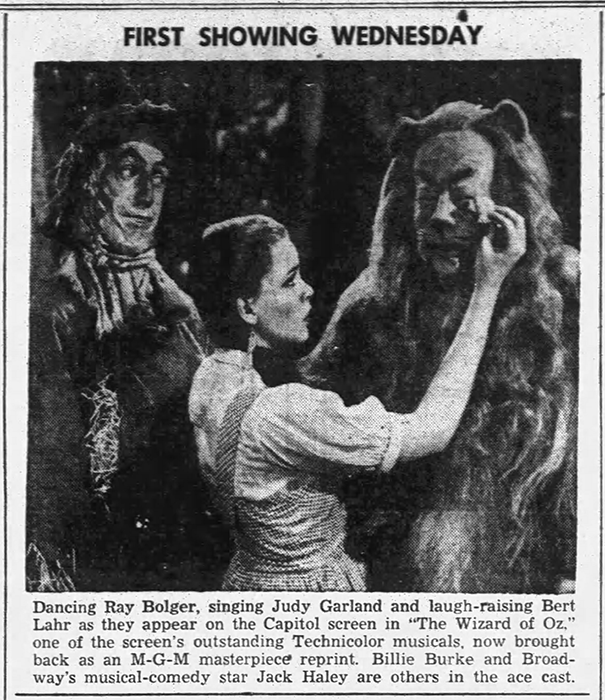 January 31, 1956: The Wizard of Oz had been re-released in theaters for the second time in 1955. In early 1956 it was still playing in theaters around the country. Months later the film had its TV premiere on November 3, 1956, and the rest, as they say, is history. January 31, 1964: Videotaping of the dress rehearsal (of the segments with guests) from 2 p.m. to 3:30 p.m. and their final performance from 5:30 p.m. to 6:30 p.m. of Episode Twenty-One” of “The Judy Garland Show from CBS Television City, Stage 43, in Hollywood, CA. 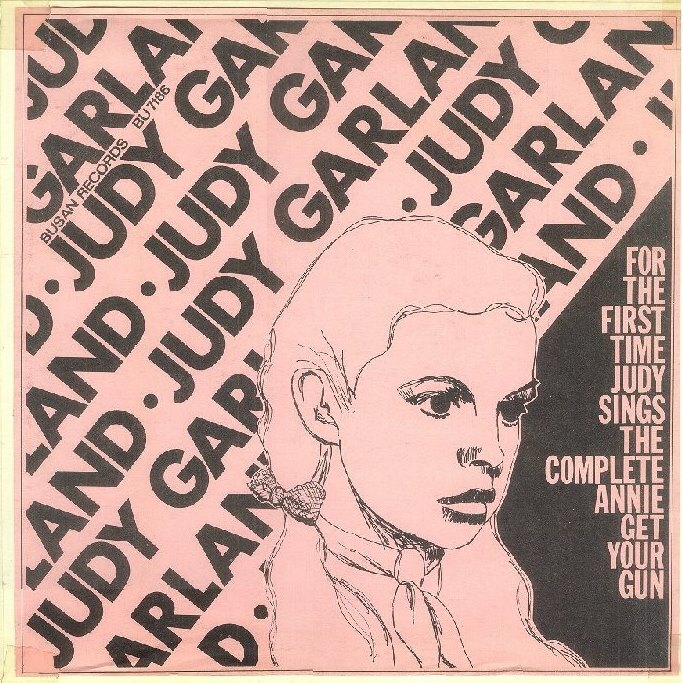 From 6:30 p.m. to 8:30 p.m. the stage was set for Judy’s “Mini-Concert” – the first half of the hour. 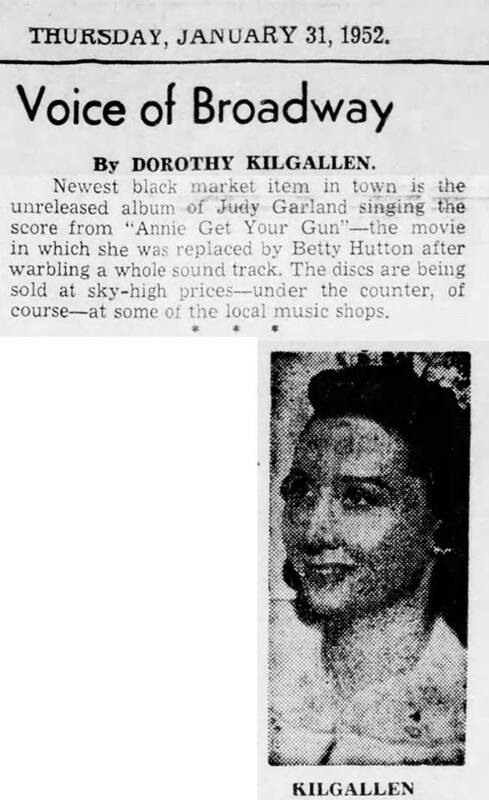 From 8:30 to 10 p.m. the audio and camera set-ups were tested; at 10 p.m. Judy’s “Mini-Concert” was taped. Judy’s guests were Diahann Carroll and Mel Torme. 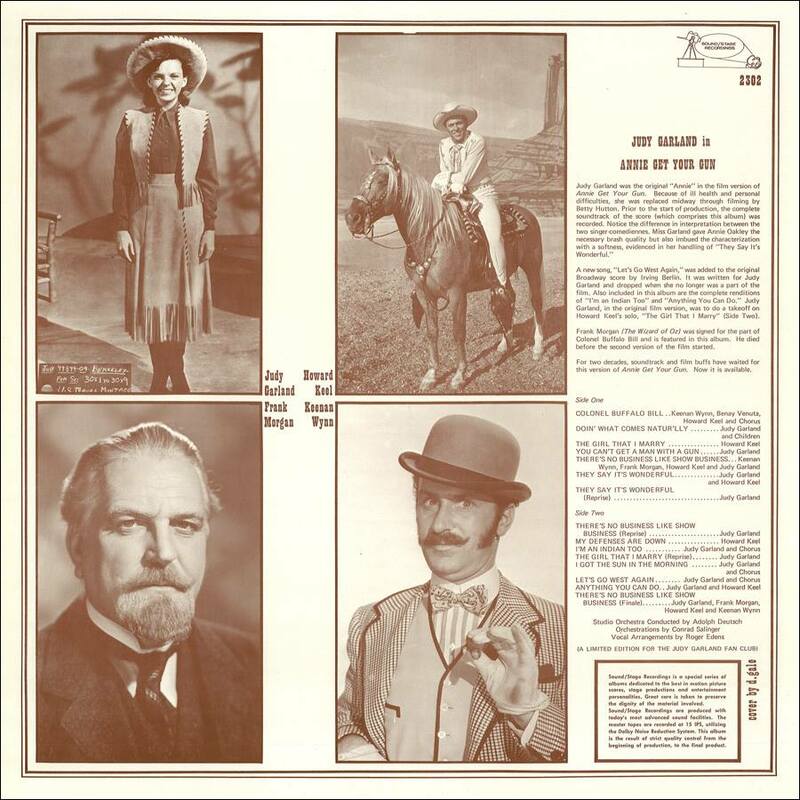 Judy sang: a brief bit of “Stranger In Town” to introduce Mel; Judy and Mell sang “The Trolley Song”; and Judy and Diahann sang a “Richard Rodgers/Harold Arlen” medley. 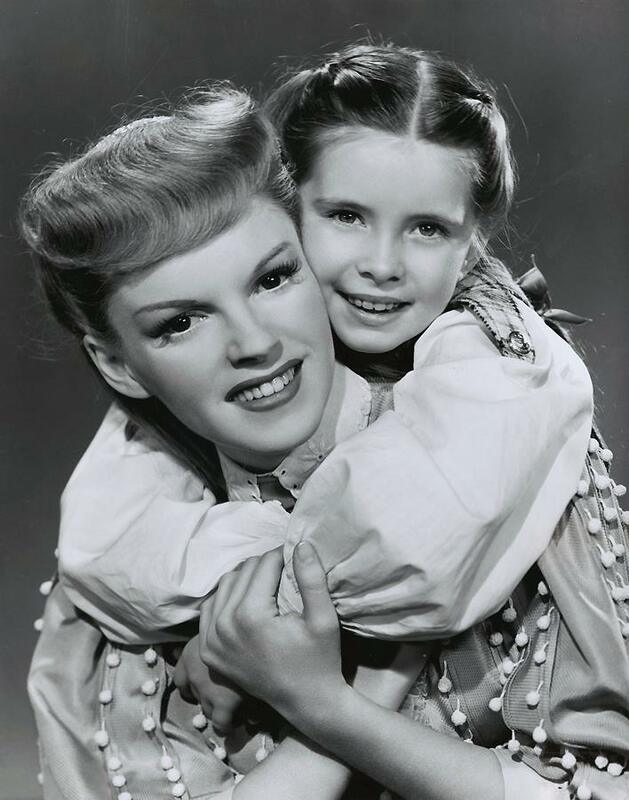 For the “Born In A Trunk” segment, Judy sang “Don’t Ever Leave Me” & “Great Day.” She also taped the last of the “Ken Murray and His Hollywood Home Movies” segments. The show aired on Sunday, February 16, 1964. 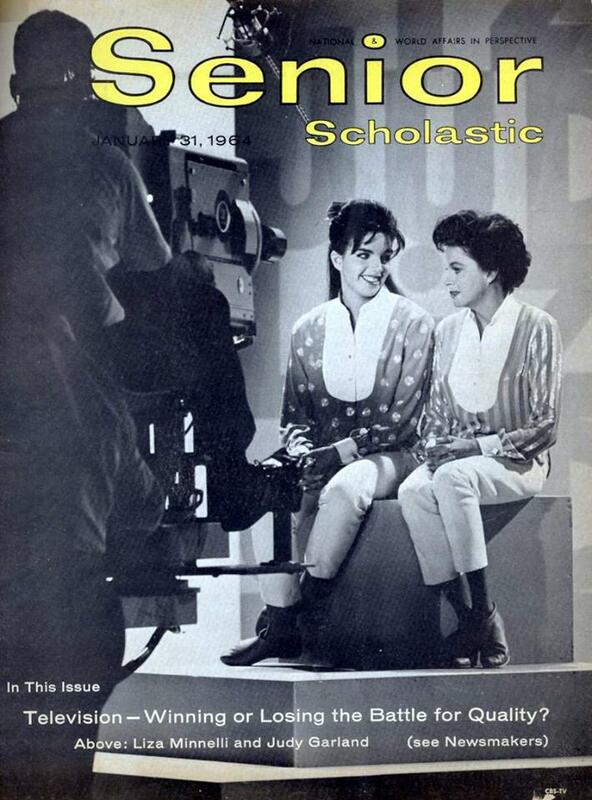 January 31, 1964: Judy and Liza on the cover of “Senior Scholastic” magazine. January 31, 1967: Judy and Tom Green flew back to Los Angeles, California, from New York City, along with Judy’s daughter, Liza Minnelli, who was scheduled to tape her second appearance on the “Hollywood Palace” TV show. 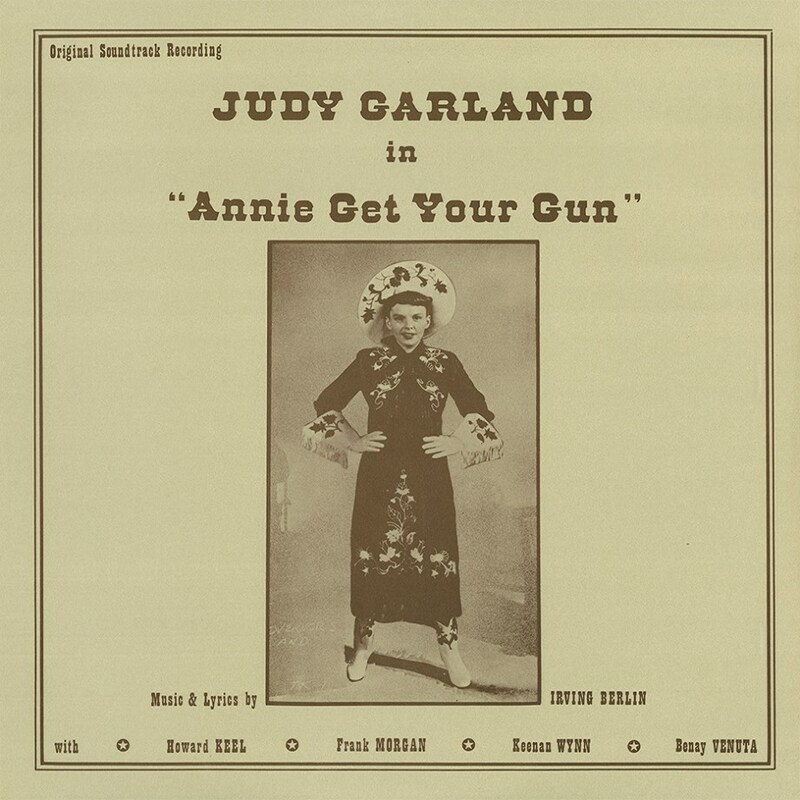 Sound quality aside, I think Garland’s pre-recordings for “Annie” are simply awful. Her voice is coarse and lifeless. If I had to pick one that I think is pleasant, it’s the duet of “They Say it’s Wonderful” with Keel. Otherwise she just doesn’t sell any of the songs. The old pizazz isn’t there. Garfreaks, of course, love to rip Betty Hutton’s performance apart, despite the fact that she is wonderful in the film. Probably her best role. We’ll never know how Judy would’ve fared had she’d been well. Bizarre that she had just come off of “In the Good Old Summertime” with such zest and magic. She fell apart so quickly. Thanks for your very interesting page today (the Margaret O’Brien letters were intriguing. Ethel was nothing like Gladys O’Brien!!). 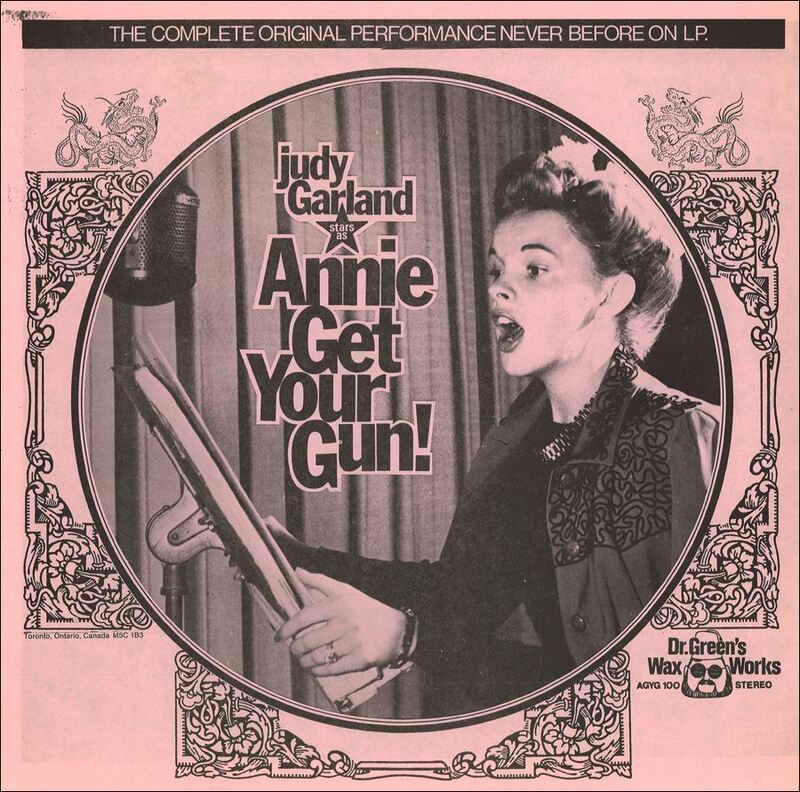 I think Judy would have been wonderful in “Annie” if she were at her peak powers. Even though the role was more of a character and she wasn’t just being herself (which is more than enough! ), she would have pulled it off. I agree that the recordings lack that Garland sparkle. In fact, she sounds downright strident at times. I don’t care for Hutton in the role, not because I don’t like her or even because she replaced Judy, but the direction is all wrong. She’s allowed to do too much mugging in places where I think it’s not needed. She’s annoying. Still, it’s an enjoyable film overall. It’s kind of an anomaly of the MGM musicals of that time. Most were original stories (usually centered around songwriter’s catalogs) and had a different look. “Annie” seems very pedestrian in its direction and even the look. I get the impression that they filmed it as quickly as possible. It seems rushed to me. It’s a great score though! Hmn. I think Hutton has many moments of vulnerability. And this is one of the roles that suits her outrageous persona. But thanks for reminding me that one needn’t be a Garfreak to dislike her in the role. I personally enjoy the film, although I feel it collapses when they’re on the boat back. The pacing slows down, and scenes go on much longer than necessary. Back on the old imdb. boards, there used to be the big debate over who was technically the better director – Chuck Walters or George Sidney (neither, of course, held a candle to Minnelli). Most voted for Walters, as he was a trained dancer/choreographer, and had that great chemistry with her off screen. But as a director, I only find Walters adequate. Sidney really had more style, as evidenced by his extraordinary work in the “Santa Fe” number, and the “Show Boat” numbers. He also used REAL outdoor scenery whenever possible, as evidenced in the aforementioned films. Lastly, as for Judy’s OTHER “losses”, I prefer Ginger Rogers in “The Barkleys of Broadway.” She had so much history with Astaire and was much more age appropriate for the role of Dinah. It’s one of my favorite MGM films. As for “Royal Wedding”, Judy would’ve play Astaire’s SISTER. Jane Powell is adorable (if a tad too young), but it’s really Astaire’s film.